Canada has emerged as an upbeat nation for skilled applicants who aspire to lead a high standard of living and better quality of life. It’s growing the economy, lucrative career and employment prospects make most overseas skilled workers choose Canada immigration for work, invest, study, and business. 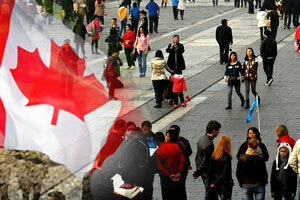 This Maple Leaf nation which is one amongst many other wealthiest countries holds 14th position in the global economy. With the rise in demand for skilled workers, Citizenship and Immigration Canada has newly promulgated many immigration options to inspire more people to immigrate successfully. Besides its umpteen number of job prospects, they have varied natural attractions. There are many visa options for an overseas applicant who aspires to study, settle or work in Canada. If you are one amongst many who are fascinated by the vibrant cultures, dynamic multiculturalism and its work options, then make sure to gain detailed cognizance on its visa options and requirements. Canada immigration policies are much positive and simple, which admits luring more skilled professionals each year. As like other developed nations, the immigration policy of Canada is also divided into two parts such as a temporary and permanent entry. Canada Federal Skilled Worker class: This is applicable for workers who intend to live in any of the territory or provinces, except Quebec. Quebec skilled worker: This is valid for applicants who aspire to immigrate to Quebec province. Provincial Nomination program: This is for individuals who intend to work and live in any of the particular provinces in Canada. Be the part of its welcoming society to avail the benefits listed above. Why Canada is called Land of Opportunities? Please try to reach me either via email or televised means,because i ‘m looking your help to restart new life. Thanks for your great consideration.